The Food Theme is a wordPress theme containing the wide range of features like clean, modern, minimal, royal, multi-purpose and One-Page. It includes around $150 worth of goodies. 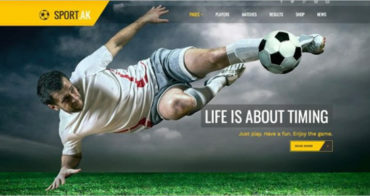 SPORT is a special WordPress theme having unique and special features clean, modern, minimal, royal, multi-purpose and One-Page theme.